What the JFK Library looks like today on its eventual site on Columbia Point. JFK, of course, never got to visit his presidential library. But that doesn’t mean he hadn’t already given the topic some thought. 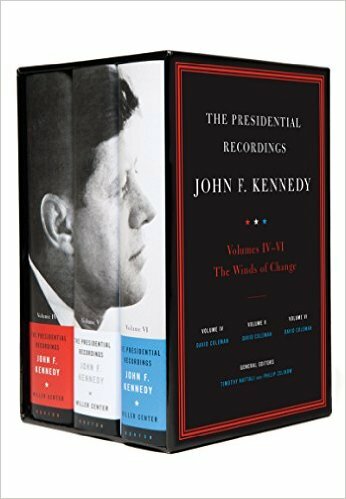 Q. Mr. President, your speaking of historians induces me to ask you this: most former Presidents have put their official papers in libraries in their home States where they are not readily available to scholars and historians who come here to work with the Library of Congress and other agencies here. Have you decided where to put yours and would you consider putting it in Washington? Let me say I know that we have a library now in Independence [Truman], Hyde Park [Roosevelt], Mr. Hoover’s library at Stanford [California], Mr. Eisenhower’s library at Abilene [Kansas]. There are advantages and disadvantages. In some ways it helps stimulate scholarship in those areas; in addition, through scientific means of reproduction, microfilms, and all of the rest, it’s possible to make documents available generally here in Washington, and through the Archives, the Library of Congress, and at the libraries. The number of scholars who deal with these subjects in detail, it seems to me, will find it possible in a central place to get the kind of documents that they need. So that while there is a problem, as you suggest, I think that we can, and this will certainly be increased as time goes on, we will find it possible to so reproduce the key documents that they will be commonly available, I would hope, in Washington. There are a great many other advantages to a library–if you’ve gone to Franklin Roosevelt’s library and to Harry Truman’s library. It offers a good deal of stimulus to the study of American history, besides being a place where you can keep for a long time documents. There are many other things of interest which I think are rather advantageous to have spread around the country, particularly as it stimulates the study of the Presidency. At the time there were no firm plans in place. After his death, early plans were to build the library next to Harvard University, in Cambridge. That plan was eventually abandoned in the face of local opposition, and in 1976 a new site was settled upon on the tip of Columbia Point peninsula in south Boston, overlooking Boston Harbor.